Sweeping from New York to Los Angeles to Paris, Rome, Venice, and the South of France, Precious Gifts is Danielle Steel at her most acute and affecting, with the story of Veronique Parker and her three very different daughters, who each find their destiny with a late assist from a charming rogue. Paul Parker was the ultimate bon vivant, charismatic but feckless, who left his wealthy wife and three beautiful daughters wounded and wary of men. But after his death, Paul shows surprising insight in the bequests he leaves to each. Knowing that Veronique's wealth is reserved for emergencies and special cases, so as to build the sense of responsibility he failed to provide, Paul aims to address their daughters' immediate needs in his will. To Timmie, he bequeaths the necessary funds to open her own facility to serve her homeless and underprivileged clients. To Juliette, enough to hire a staff to manage her bakery, so she can have time to get away, travel and live more fully. And to Joy, the money to hire a talent manager and funds for two years to get her acting career off the ground. But while Paul may have shown his daughters more support and affection in his final will than he ever did in his actual life, he leaves Veronique with a shocking revelation that shatters her remaining illusions about the understanding they had shared: the existence of a now-adult daughter who'd been born three years before their divorce. Yet this too, is a gift, as it propels Veronique to at last forge a life of her own-and to open her heart to the magnetic photographer she meets in the course of her journey. 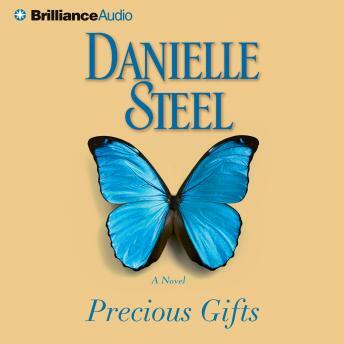 After reading a heavy James Patterson book I wanted something light and romantic so of course Danielle Steel came to mind. But I'm afraid this was a little too light. Just couldn't get into having much sympathy or compassion for this poor rich family. May just have been my post Christmas blues but wouldn't really recommend this book. I think the narrator did a good job considering he was having to do mostly women's voices. Enjoyed the book. Bit of a Chick Flick type book, it was a little predictable. Like most of Danielle Steel's romance novels although updated to include her characters leaving text messages. Mother with three daughter finds love with an artist and the novel travels through the galleries of Europe while her daughters are naive to the fact that their mother has a life and they think their needs are all that matter. Very enjoyable as good romantic escape reading.